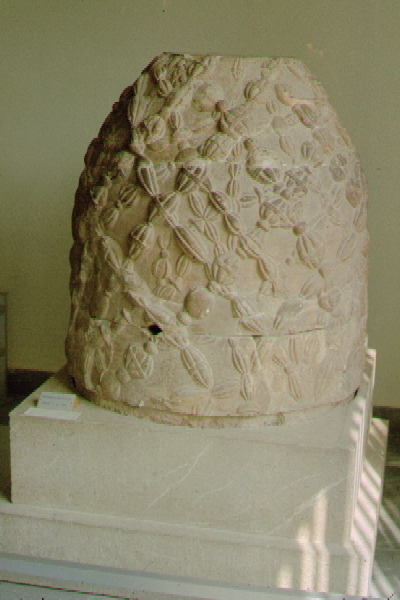 Omphalos - a marble stone which marks in the Delphi in Greece the center of the World determined experimentally by Zeus. In his experiment, Zeus launched simultaneously two eagles from the east and the west end of the World, and he observed where they will meet each other. This experiment requires (in addition to other conditions) the existence of the edge of the World, what is contradicting to the cosmological principle.